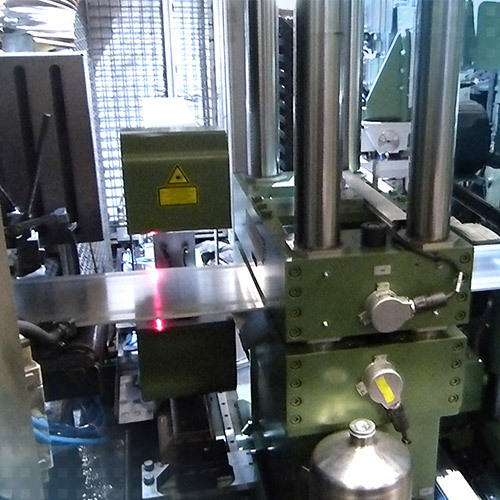 For the prompt detection of incorrect thickness of aluminium strips, optoNCDT laser triangulation sensors are used as modern alternative solution to isotopic measuring systems. At the measurement location, the sensors are mounted opposite to each other, above and below the conveyed aluminium strip. Regardless of the exact height position of the strip, the sensors provide the exact material thickness based on a simple distance signal coupling, F=Ref. - (A + B).